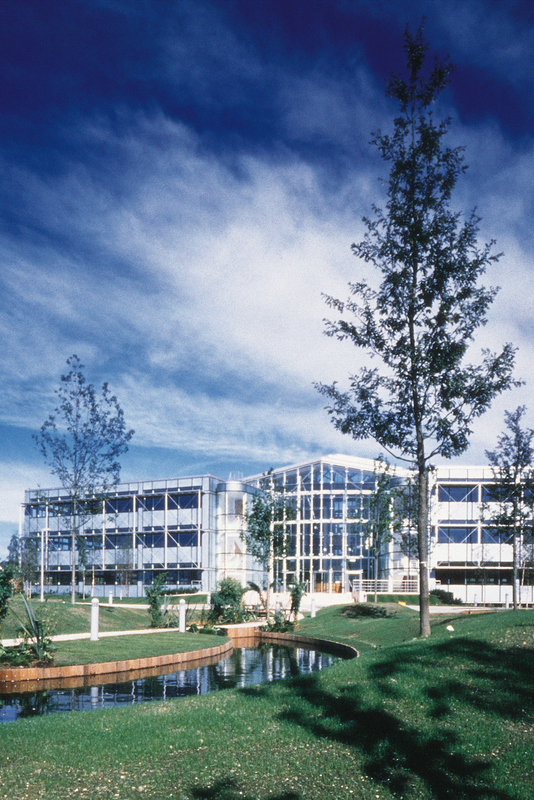 This 5,200 sq.m mixed mode, low energy office building was the first phase of a competition winning new business park development on a redundant gas works near the centre of Leeds. 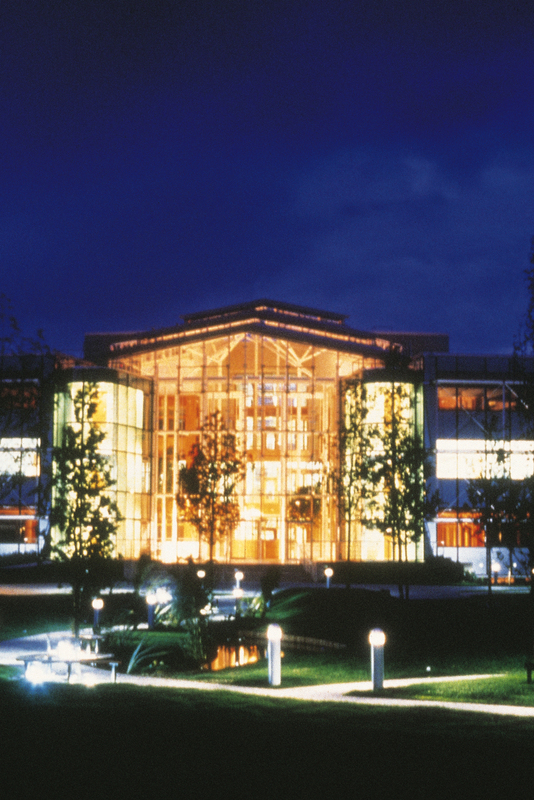 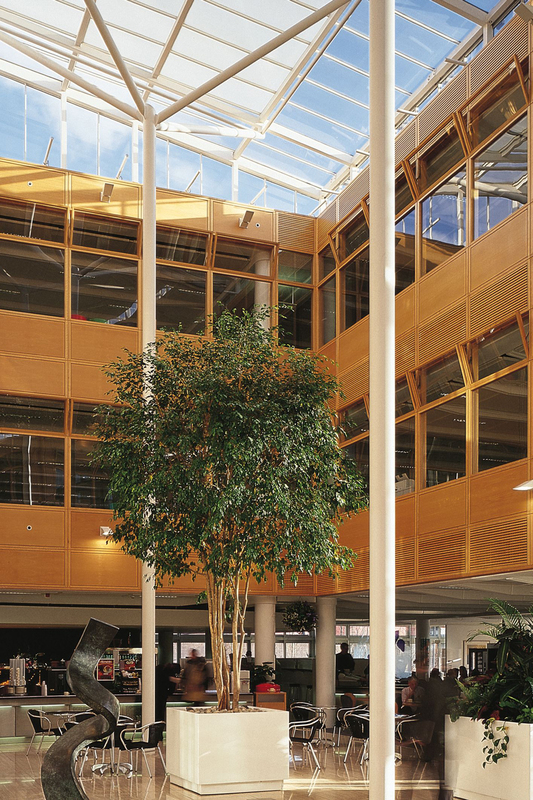 Three storeys of office accommodation are arranged around an atrium, one side of which comprises a glazed wall containing the main entrance facing onto a pedestrianised, landscaped amenity space at the heart of the business park. 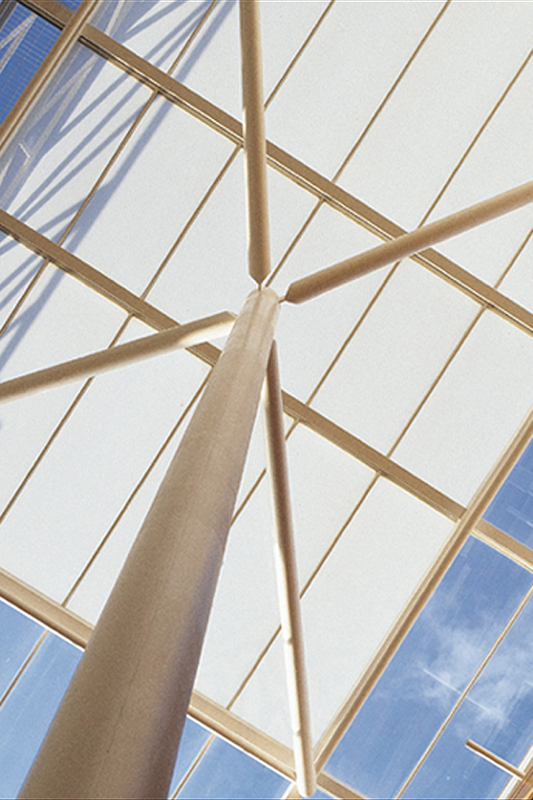 The modelled and exposed concrete soffits in the office space harness the benefits of the thermal mass of the building structure to cool the building, whilst the geometry of the atrium roof structure enhances the efficiency of the thermal stack effect to assist building ventilation. 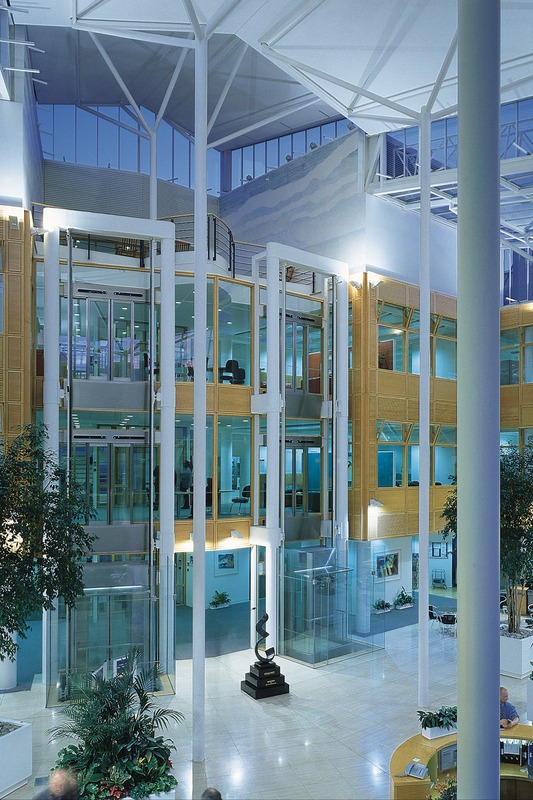 The innovative low energy design features of the building resulted in it receiving the highest BREEAM score to have been awarded to an office building up until that time and the building was selected as a participant in the European Community Joules-Thermie 2000 energy programme. 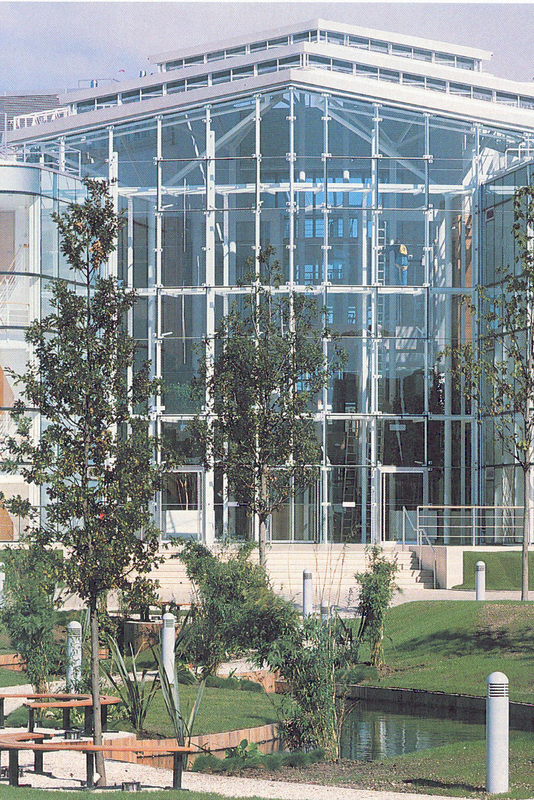 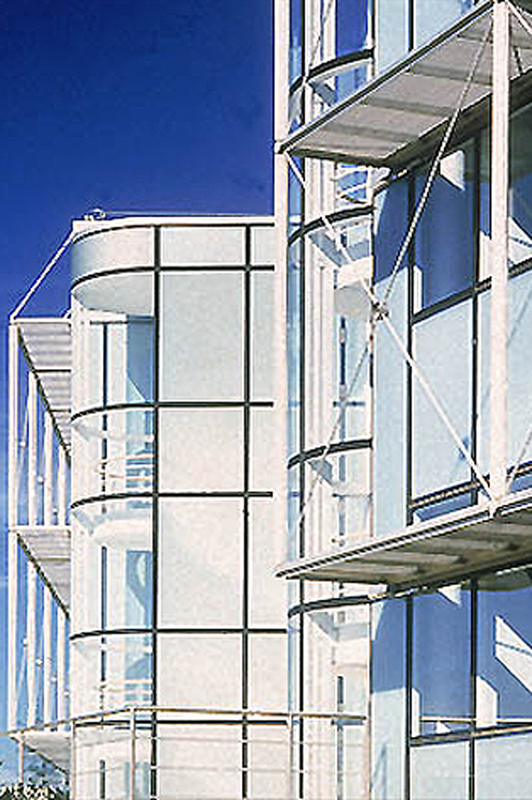 The building also won a BCO Award in 1999.